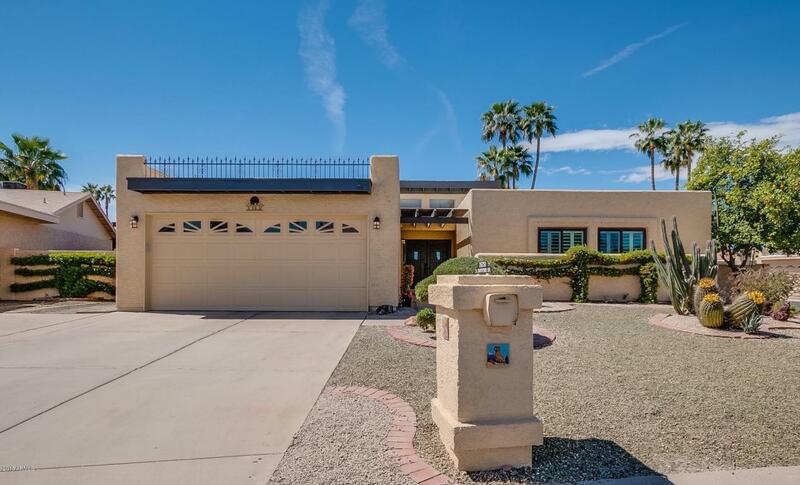 One of the prettiest homes in Sun Lakes! Light and bright and newly redone inside and out. This home features 2 bedrooms plus a den and 2 full baths. Open floor plan makes it perfect for entertaining. Arizona room has been incorporated into the home making a dining area that will seat as many as you need and still give room for an office and sitting area. Electric fireplace in the den can be used with heat or without. Backyard has oranges, grapefruit, lemons and more. Newly landscaped desert backyard is easily maintained. There is also new landscape lighting and wonderful seating for family and friends. Don't miss this one!